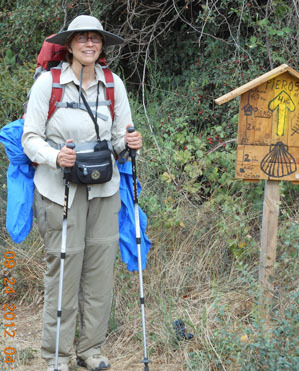 CU Alums Margaret Hoarty and her husband, Tom, spent six weeks in the late summer of 2012 walking the Camino de Santiago pilgrimage road in Spain. Over the 450 mile trek, they prayed and walked and met other pilgrims from around the world. How did her journey of feet and soul prepare her for Lent? What did she learn about life as she traveled a road few of us will take? Her presentation is illustrated with photos and filled with stories of fellow pilgrims on the road. They include people who were kind to her along the path, and memories of a treasured journey with her husband where they encountered God in a very real way.